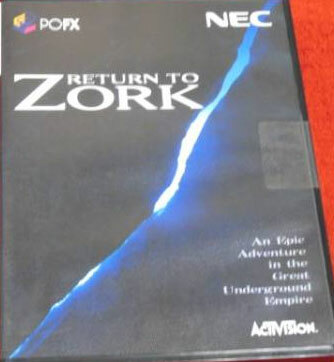 Similar to, though pre-dating Myst; the final instalment in the Zork series got many a traditional non - gamer into a fluster with its streamed graphics and simply point and click gameplay. Unusually allows many interactions with objects, even non player characters which can be attacked (though beware the vigilante who steals your items!) Also likely to render the game unfinishable are destroying essential items. Works well on the PCFX, almost as if it was made for such titles. Second hand. Spine of cover discoloured. 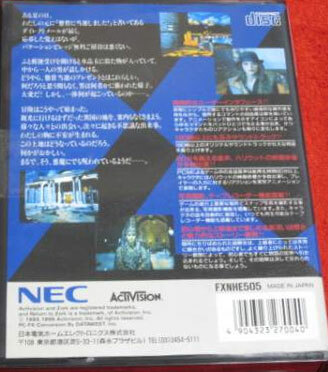 Comes with a letter(?) Minor impression on manual reverse and minor disk scratch.